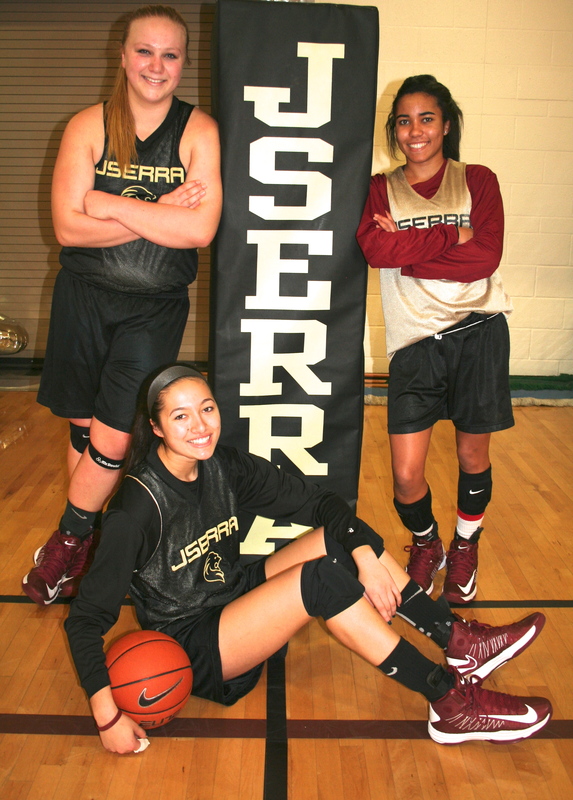 JSerra’s girls basketball team has a lot of weapons this season. Guards Coco Miller and August Touchard have been outstanding and Megan House, a 6-4 sophomore, and Courtney Vaccher, a 6-2 junior, dominated in the post for the Lions. JSerra discovered a new weapon in junior guard Corinne Bogle, who gave the Lions a spark off the bench with 16 points to lead No. 3 JSerra to a 53-35 victory over Rosary in a Trinity League game on Thursday night at JSerra High. “I knew beforehand that I didn’t have a great game the last time we played Rosary,” said Bogle, who had two points in JSerra’s 69-44 victory over Rosary on Jan. 10. “I just tried to do different things this time around. Rosary (14-10. 2-5) knocked down seven 3-pointers, including three in the first quarter to help the Royals build a 13-12 edge heading into the second quarter. JSerra responded with an 8-0 run to start the second quarter and build a 20-13 lead. Touchard was dishing out the assists and Bogle scored nine of her points in the first half to give the Lions (18-5, 4-2) a 27-21 lead at the break. To read the complete article click Lady Lions.